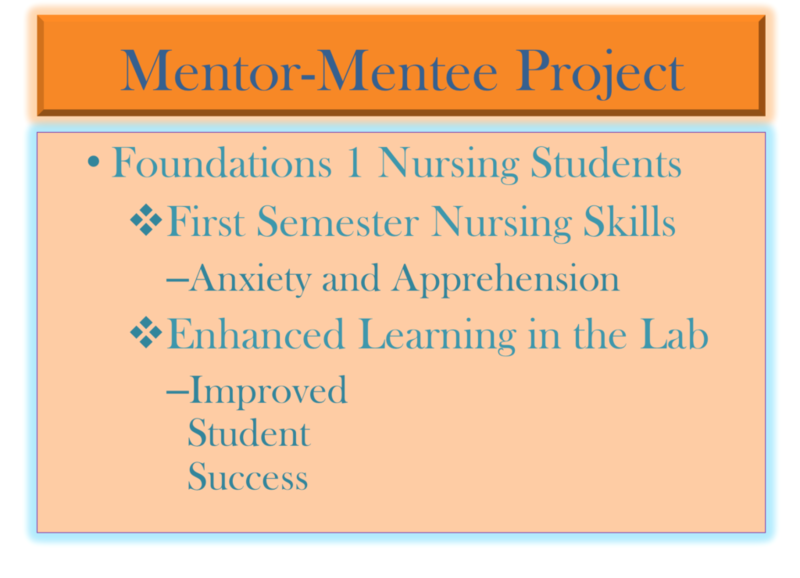 Jessica Rozek focused on Foundations 1 nursing students for her 2013-14 Mentor Mentee Project. Below she shares some of her Power Point slides along with her accompanying notes. I teach Foundations 1 nursing students which is first semester, so they usually present with high anxiety in both lab and class, as they are learning brand new content. Additionally we require lab students to pass performance test outs of nursing skills within 2 attempts so that contributes to their anxiety. The students deserve the best most effective teaching so they can be successful. That prompted me to look at how to enhance student learning in the lab and increase student success rates. My research showed that many nursing students are visual learners and demonstration of skills can be beneficial (Benjamin et al, 1984). Furthermore students prefer recorded demonstrations over an in person faculty demo so they can rewind and review difficult areas of each skill. I collaborated with other lab faculty in the nursing program to assure lab test outs are consistent throughout every semester and also followed QSEN protocols. So I then decided I wanted to record all 4 Foundation 1 performance test outs. I collaborated with my mentor, Art Khaw, who facilitated how I could get started on the project by introducing me to Matt Murphy in media technologies. Matt filmed and edited the videos so they were of professional quality. All four videos will be uploaded to Angel lab course for faculty and student viewing so there is consistency in grading and expectations of the test outs. I am excited and passionate about teaching students and watching them learn and grow. I learned about student learning and effective collaboration by doing this project. I also know I need to be a lifelong learner to be a better, effective, lifelong educator. Willock, K. (1998). A comparison of the performance outcomes of nursing students who are taught urinary catheterization and sterile dressing by traditional lecture/discussion method versus those who utilized self-directed learning with module. Benjamin, G., Benson, R., Crim, B., Edgar, C., Kautsch, C., Langland, R., & … Raithel, J. (1984). Use of extraneous conversation in the teaching of nursing skills. 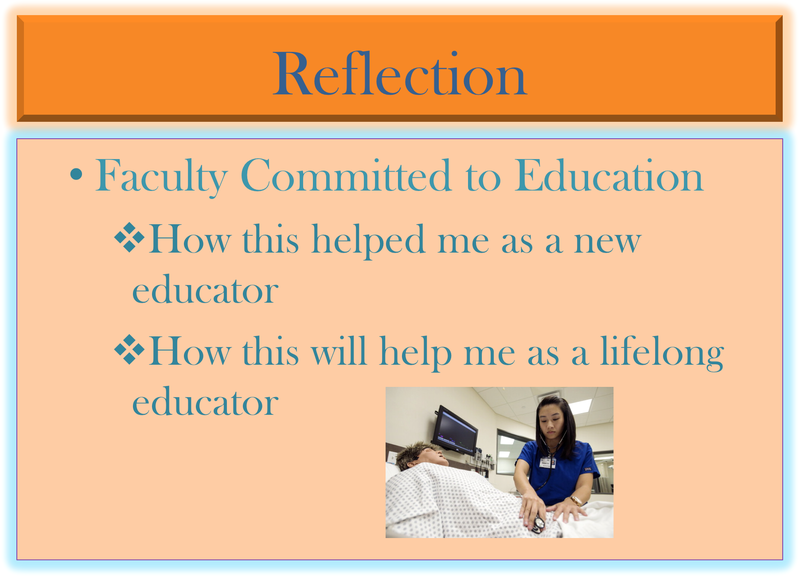 Journal Of Nursing Education, 23(3), 109-113.